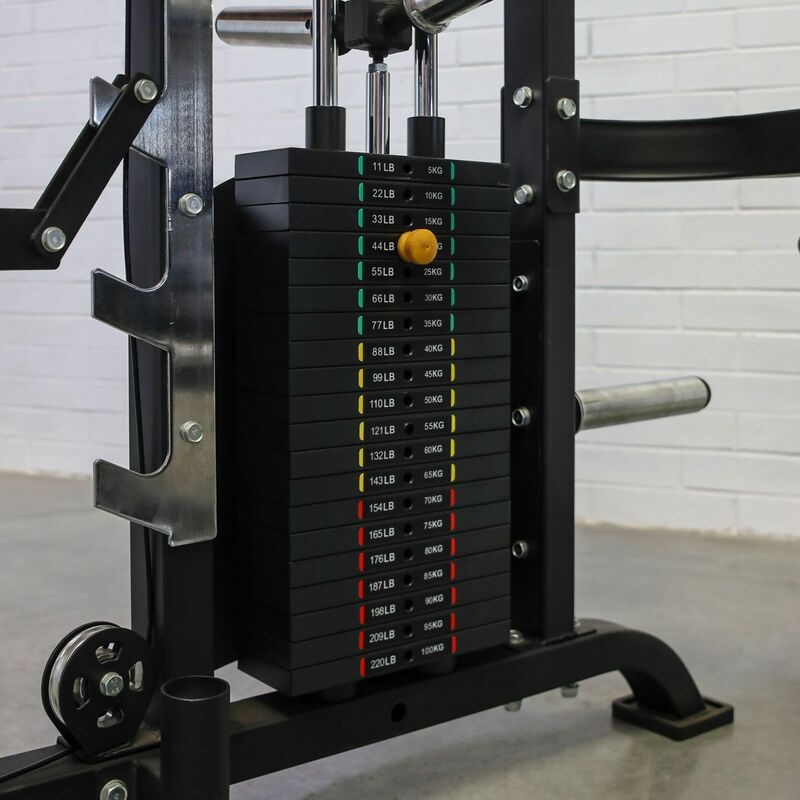 Talk about a power-packed machine that will challenge your every workout! 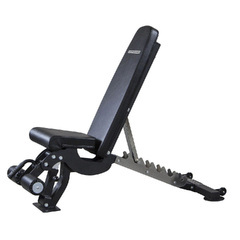 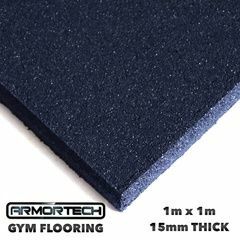 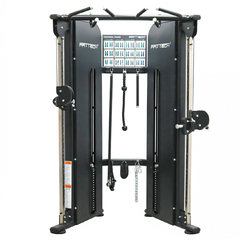 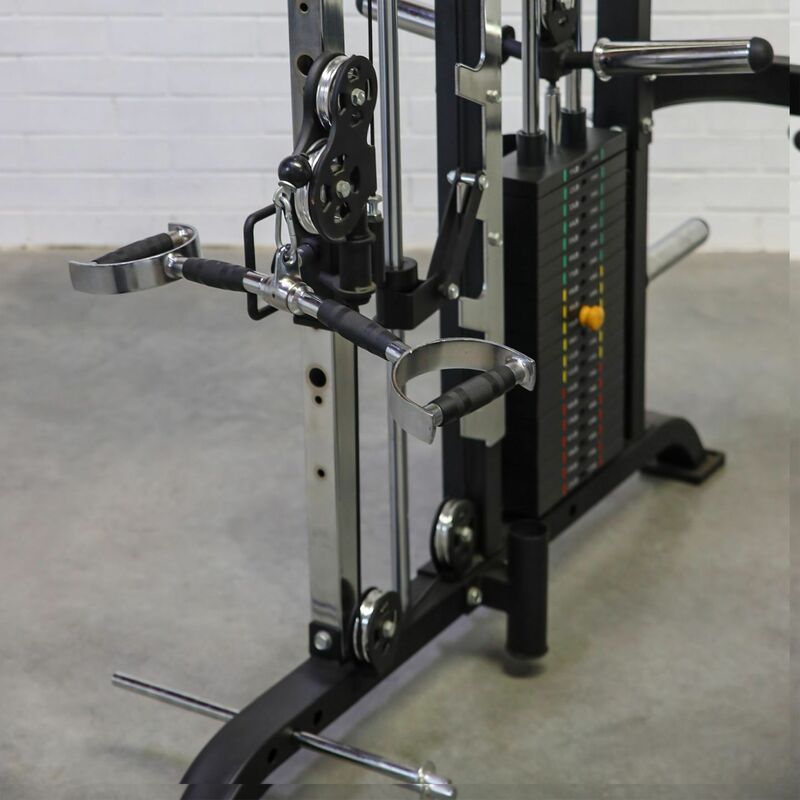 The Amortech F100 Infinity Functional Trainer is the most versatile piece of gym equipment you could ever imagine. 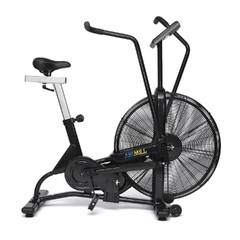 And it keeps up with you – and your workout needs. 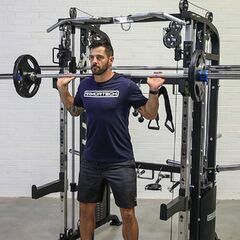 It’s as if you have your own personal trainer that keeps challenging you, but in the privacy of your own home. 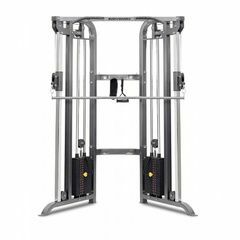 The weight stacks in the Functional Trainer have Commercial Grade Aircraft Cable and super-fast and simple pop-in positioning adjustments. 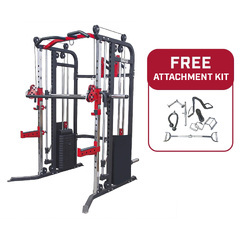 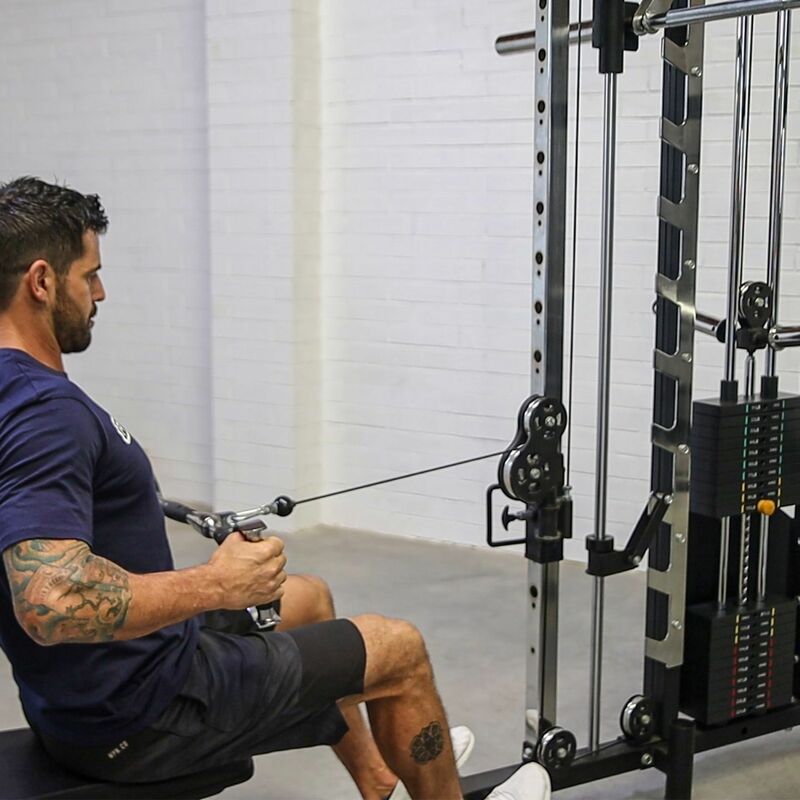 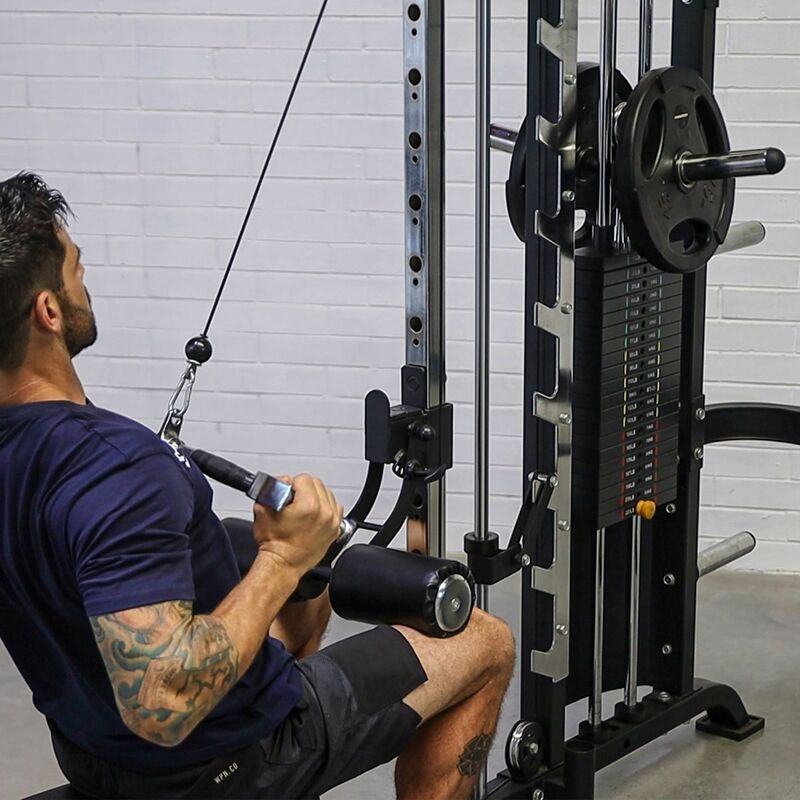 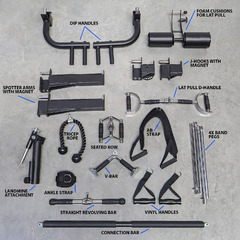 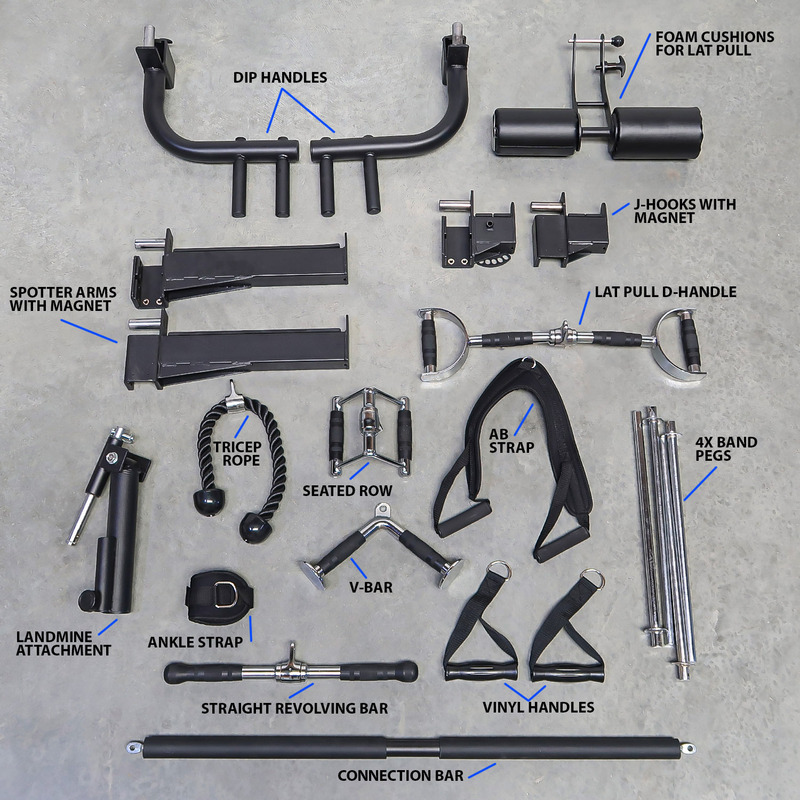 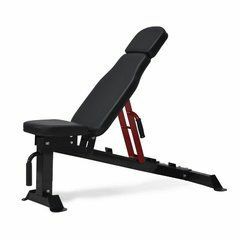 The Functional Trainer is also compatible with a huge range of attachments for almost every exercise you could ever want. 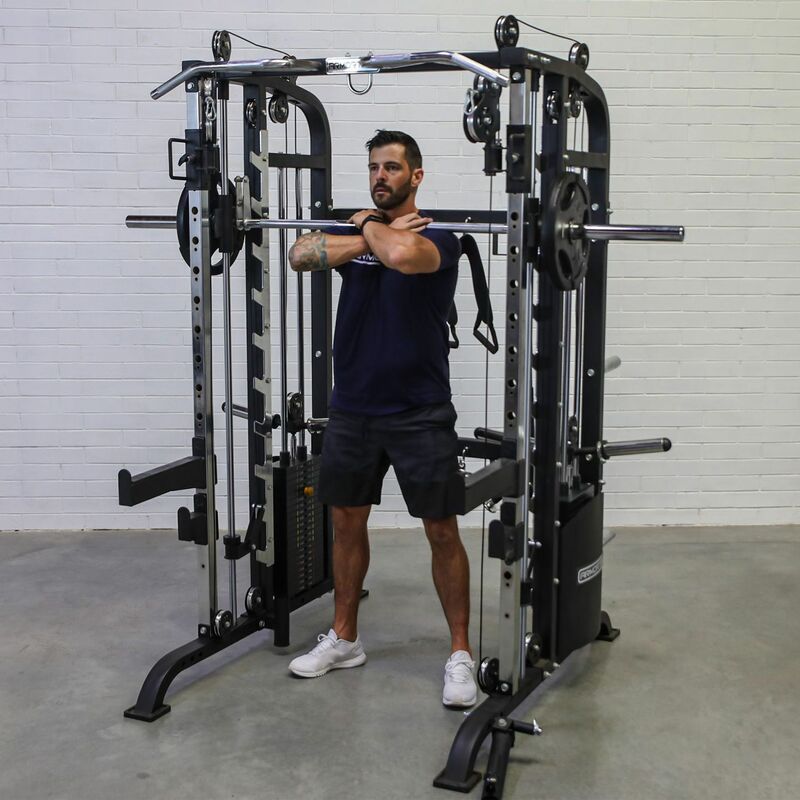 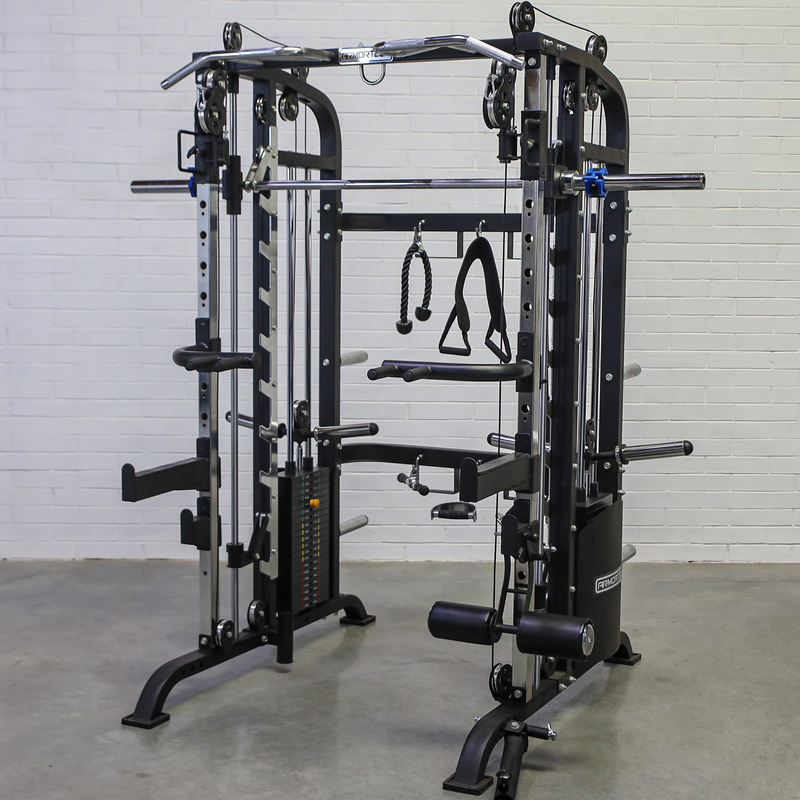 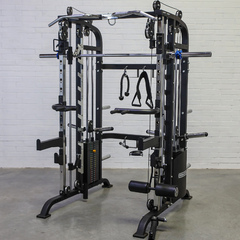 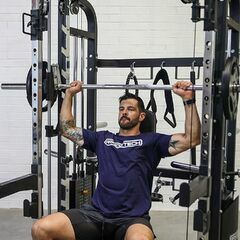 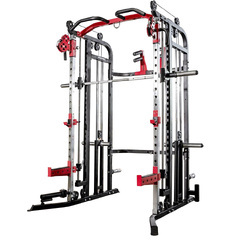 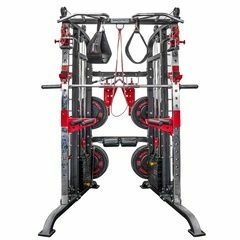 The Power Rack includes commercial-grade J-Hooks and Spotter Arms, which you can adjust to any height position you need. 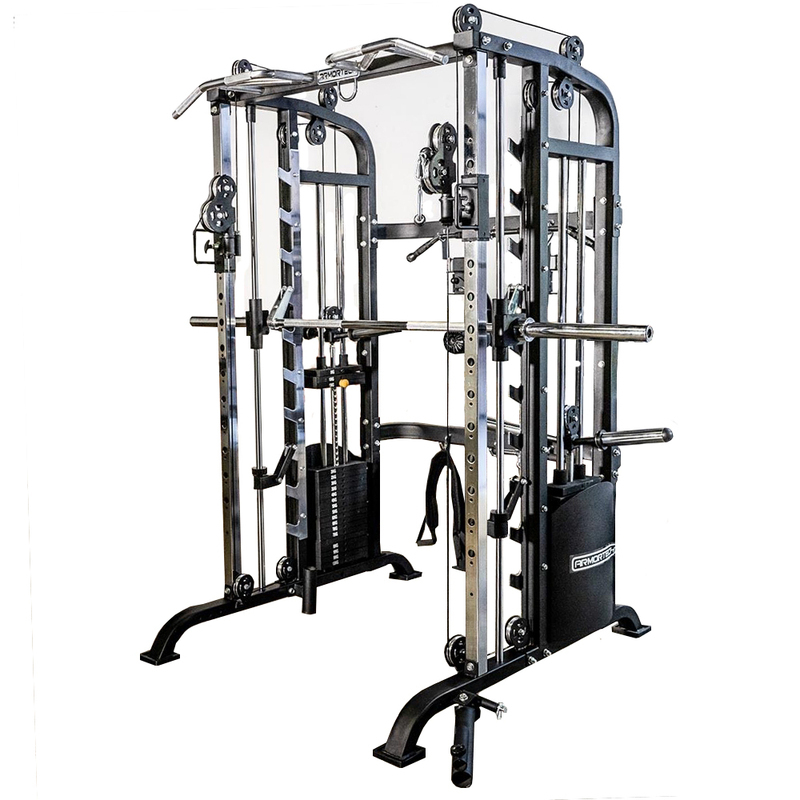 The Smith Machine provides a STRONG and SAFE workout – and it’s easy to re-rack the Smith Bar to any height position. 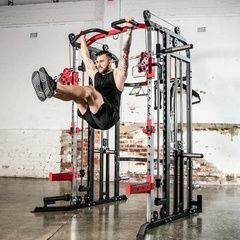 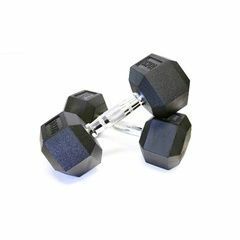 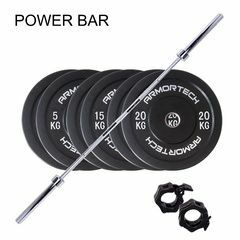 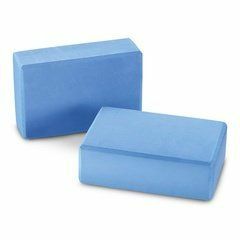 Its superior design and precision engineering ensures that you’ll be not only be safer, but you can enjoy a more natural range of movements during your workout. 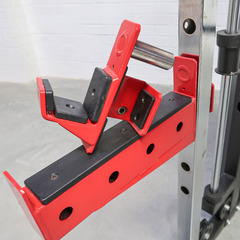 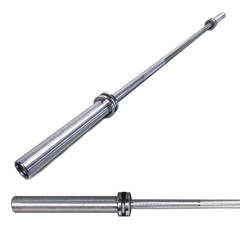 Only the best 25mm self-aligning linear bearings are good enough for the Smith Machine. 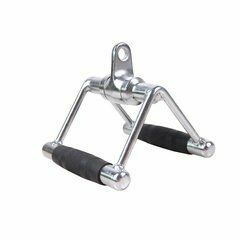 And there are stainless steel safety pins and with a hardened chrome finish for every one of its main moving parts, plus 8mm super-strong carabiners. 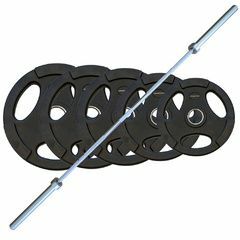 The bar on this machine is 30mm in diameter.